Cancer is the abnormal growth of cells. Cancer causes cells in body to divide without stopping and spread into the surrounding tissues, these abnormal cell growths harm the body to form lumps or masses of tissue called tumors. Cancer is caused by an uncontrollable growth of cells due to mutation (changes) to the cell DNA. This result of uncontrollable growth of cells, breaks down the process of apoptosis (programmed death of normal cell). Cancer risk factors such as tobacco, genetics, UV exposure, obesity etc. These risk factors are avoidable and limiting exposure to these will lower the risk of developing cancer. Follow the cancer prevention tips, and take charge of your health by making healthy choices and get regular screenings to prevent cancer. Cancer is unavoidable but regular complete health check up can help in its early detection; which will dramatically improve chances of beating it. Early detection of cancer increases the chances of getting it completely cured. Cancer if detected at an early stage is small and has not spread means that you have good chances of getting cured. Awareness to promote early screening is the most important component for cancer prevention. Prevention of the cancer is the most cost-effective for the long-term strategy. 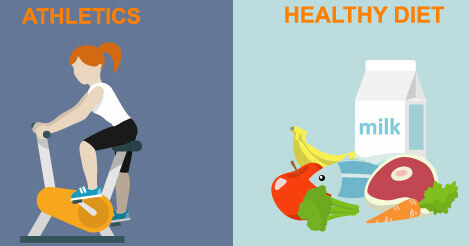 Look after your health today for a healthy tomorrow. Get yourself a routine health checkup, as prevention is better than cure. Keep health status updated by the comprehensive screening with customised health checkup packages provided by Indus Health Plus, a preventive health check up specialist. To know more about regular health checkup query fill in the form and we will contact you.